Long-awaited guidance from New York Attorney General Eric Schneiderman’s Charities Bureau on audit oversight provisions, conflicts of interest, and whistleblower policies under the New York Nonprofit Revitalization Act of 2013 (“NPRA”) were finally released earlier this month. Also released and of interest is guidance on internal controls and financial accountability for not-for-profit boards. New York’s Executive Law requires most organizations that solicit charitable contributions in New York to register with the Attorney General’s Charities Bureau. Organizations whose revenues exceed $500,000 are required to submit audited financial statements in conformity with generally accepted accounting principles, including compliance with all pronouncements of the Financial Accounting Standards Board and the American Institute of Certified Public Accountants. The audit must be submitted with New York’s Annual Filing for Charitable Organizations (Form CHAR500) and Internal Revenue Service Form 990. To enhance compliance with the audit requirement, the NPRA added Section 712-a to the Not-for-Profit Corporation Law (“N-PCL”) setting forth the audit oversight responsibilities of not-for-profit corporations and Section 8-1.9 to the Estates, Powers and Trusts Law (“EPTL”) setting forth the responsibilities of trusts that are subject to the audit requirements. EPTL Section 8-1.9 specifically makes applicable to charitable trusts a number of sections of the NPRA, including the provisions addressing audit oversight, as well as related party transactions and mandatory conflict of interest and whistleblower policies. The NPRA follows both common law and best practices literature in requiring directors to make disclosures about potential conflicts of interest at the beginning of their service and on an annual basis thereafter. It also requires directors, officers and key employees to disclose potential conflicts of interest in issues which come before the Board and to refrain from participating in board deliberations and decisions on those issues. The NPRA requires that a nonprofit’s procedures for disclosing and resolving conflicts of interest be set forth in a Conflict of Interest Policy adopted by the board. The NPRA amended the N-PCL and the EPTL in numerous ways, including requiring certain not-for-profit corporations and charitable trusts to adopt whistleblower policies. The guidance describes the specific requirements of the amendments and exceptions to them. The Attorney General's Charities Bureau drafted it to assist nonprofits required to implement whistleblower policies, by clarifying the law and responding to questions the Bureau received. The Charities Bureau drafted guidance to assist current and future boards of directors of not-for-profit corporations and trustees of charitable trusts in understanding and carrying out their fiduciary responsibilities to the organizations they serve. The guidance includes general information concerning internal controls for the protection and oversight of charitable assets. 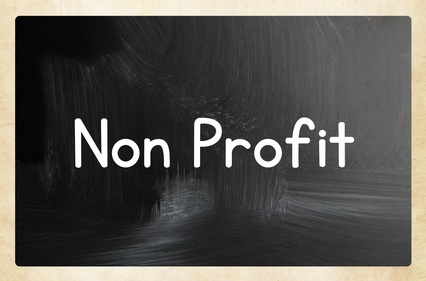 The Charities Bureau also publishes Right from the Start - Responsibilities of Directors of Not-for-Profit Corporations, which describes basic responsibilities of boards of not-for-profit corporations. The information in the booklet reflects changes to the N-PCL that were included in the NPRA. Though these guidance documents do not have the effect of law, they do provide insight into how the Attorney General’s office is interpreting the requirements under the NPRA. It would be in the best interest of all not-for-profits doing business in New York to familiarize themselves with the Attorney General’s positions on these issues.